Jamesa Alston is a graduating senior at the University of Memphis, who is majoring in journalism with a concentration in news and minoring in social work. 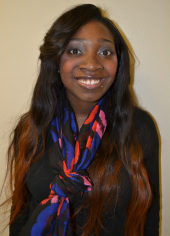 She is a transfer student from Jackson State University in Jackson, Miss., where she majored in social work. After realizing that the world is surrounded with news and should be accurately reported, she began her matriculation as a journalist. Jamesa works part time for a nonprofit organization, West Tennessee Family Solution as a Family Teacher Counselor, where she assists individuals with intellectual disabilities with their daily living skills so that they can maintain their sense of independence. However, she contributes the vast majority of her time to being a full-time student as well as a full-time mom. She is currently seeking internships and hopes to land one soon. Her preferred beats are fashion and entertainment. 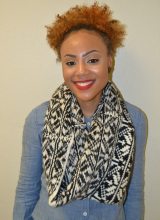 After graduating in the spring of 2014, her hope is to become a freelance writer with an emphasis in feature writing. Follow her on Twitter @AlstoJamesa. Kirstin has an overwhelming love for Memphis. Her decision to study political science emerged after the merger of the city and county schools. She went on to intern in Nashville with Representative Johnnie Turner, former Speaker Pro Tempore Lois DeBerry, and Joe Towns in 2012. In 2013, she interned in Washington, D.C., with the Congressional Black Caucus Foundation and Congressman Charles Rangel of New York. Working on the national and regional realm of politics has allowed Kirstin to further engage in local politics, fueling her desire to rebuild and renovate Memphis through education and policy. In the summer of 2013, she interned as one of Mayor A.C. Wharton's Urban Fellows in the Office of Community Affairs. Kirstin enjoys writing, listening to old music, hanging with her sorority sisters and mostly laughing-hence her last name. Alongside attending school full-time, she works as one of President Obama's Organizing for Action Fellows. She is a member of Delta Sigma Theta Sorority, Inc., and holds the office of President of the Epsilon Kappa Chapter at U of M. When she's not in school, she engages in the youth ministry at her church as a mentor and Sunday school teacher in addition to being one of the church's photographers. Follow her on Twitter @kirbycheers. Leah Beth Bolton is a journalism major at the University of Memphis with a concentration in news and an emphasis on newspaper/magazine. She has previously worked as an online contributor for a celebrity news website with Phoenix Publishing. She works as a dance teacher at the Salvation Army Kroc Center of Memphis and as a freelance choreographer for theaters in the Mid-South. She is currently employed as a performer at Playhouse on the Square. Following graduation in May, she plans to work as a freelance writer and editor. Follow her on Twitter @LeahBeezy. 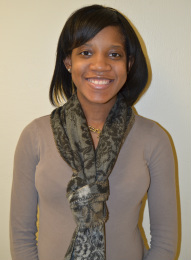 Darnesha Cotton is a senior journalism student with a concentration in news broadcast. She will be graduating from the University of Memphis in May. Her interests include fashion, beauty, photography and health. After graduating, she plans to combine her creative directing abilities with her love of styling and clothing to pursue a career in media and image consulting. She has hosted, directed, and/or coordinated over eight scholarship pageants and fashion shows during her studies at the university. Follow her on Twitter @Dreams2Catch. Charles Gray Cormac Parker Jr.
Charles Gray is a internet-based writer, sound producer, and digital curator. He has covered music in the Mid-South for over two years now and is actively involved in the Memphis experimental music scene through being a member of the Spoiler Alert art collective. He currently runs Lavender Town Press, a firm for avant-garde electronic music. When he's not writing press releases or music articles he can be found researching and discussing internet culture, modern music production, digital art, and 90s videogames. 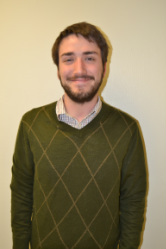 Cormac Parker is a Senior Broadcasting Student and a native of Louisville, Ky. May 10, 2014 is a day that he highly anticipates as he prepares to graduate. Cormac is a natural in front of the camera. His natural abilities will help him achieve one of his many goals to be a media personality. He loves Memphis and appreciates its rich history. On the weekends you can find him singing and speaking around the city and country. In everything that he does, he loves to have fun. Check out his website www.cormacparker.com and follow him on Twitter @CormacParkerJr. 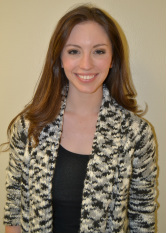 Courtney Smith is currently a senior journalism student at the University of Memphis. He is a father to his five-year-old daughter Soniyah A. Smith. His favorite topic to talk about is sports, especially college basketball. He is a beat writer for tigersportsreport.com and pawofthetiger.com covering Memphis Tigers Basketball. He thinks it feels great to wake up and do something he loves to do. Sports are his passion and he doesn’t see it changing for a long time. Besides sports, he is a big fan of museums. He tries to go to museums every summer when he is not busy. His favorite museum is the Stax Museum on McLemore in Memphis, TN. Music is a big part of his life as well because some of the artists he listens to tell a story that is influential. He has an old soul and gets it from his grandparents. He is only 23-years-old, but at times people tell him that he acts older than he is. To him, the sky is the limit and he can achieve whatever is in his heart, just as long as he believes in himself. Follow him on Twitter @koolaidkid1990. 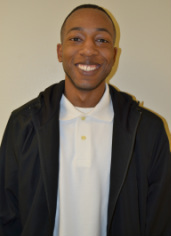 L. Taylor Smith is a senior journalism and Spanish major with a minor in English at the University of Memphis. She plans to graduate in May with an honors thesis, which she will present at the National Conference for Undergraduate Research in April. She is currently Editor-in-Chief of The Daily Helmsman, the campus newspaper for the U of M, and a freelance reporter for The Commercial Appeal, where she worked as a summer intern, and Click Magazine. Follow her at @l_taylor_smith. 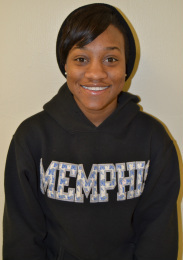 Dee Reneé is a senior at the University of Memphis. She is a multimedia journalist, who loves to cook and volunteer in the community. Dee Reneé wants to be a journalist to help people in the community while exposing problems of which they may not be aware. Dee Reneé has a real passion for helping people. She plans on starting a nonprofit organization that helps juveniles become productive citizens. Follow her on Twitter @Minicokebottle8. 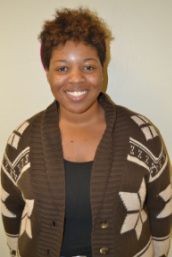 Akilah Wofford is a senior broadcast journalism major with a minor in communications at the University of Memphis. She has experience in radio, hosting for WUMR the Jazz lover and working alongside top Djs at WHRK K97 for Clear Channel. She aspires to be a television personality and one day host her own show on daytime television. She has a love for entertainment news and gossip and is always interested in interviewing people to share their story. She enjoys being a mother and does not mind staying busy to ensure a successful career. After graduation in May, she plans to continue working in radio, free-lance write for magazines, and work in production to acquire the skills needed to one day become of the next top television host. Check out her website akilahspeaks.weebly.com for interviews and follow her on Twitter @_AkilahBee.